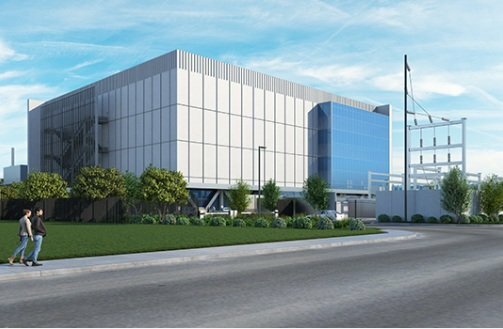 Vantage has begun the construction of its second Silicon Valley campus, in the same city as its first: Santa Clara. When fully built out, the nine acre campus will span 500,000 sq ft (46,450 sq m), providing 69MW of IT load capacity. In its initial phase, expected in mid-2019, the first of three four-story facilities will total 175,000 sq ft (16,260 sq m) with a maximum capacity of 21MW. The facility’s equipment will be kept at an appropriate temperature using a dry-cooling system, switching to a modular chiller provisioned with recycled water on hotter days. Power will be supplied by local provider Silicon Valley Power. Vantage’s first Santa Clara campus is located on an 18-acre property, and offers up to 335,000 sq ft of technical space. To its existing 60MW maximum critical load, can still be added another 75MW, according to the company’s website. And indeed, last year, it started building a four-story data center on the campus, V5, (not to be confused with V6, which is expected to be completed this year) which will provide 15MW of extra capacity. The company is also building a 108MW campus in Ashburn, Virginia.